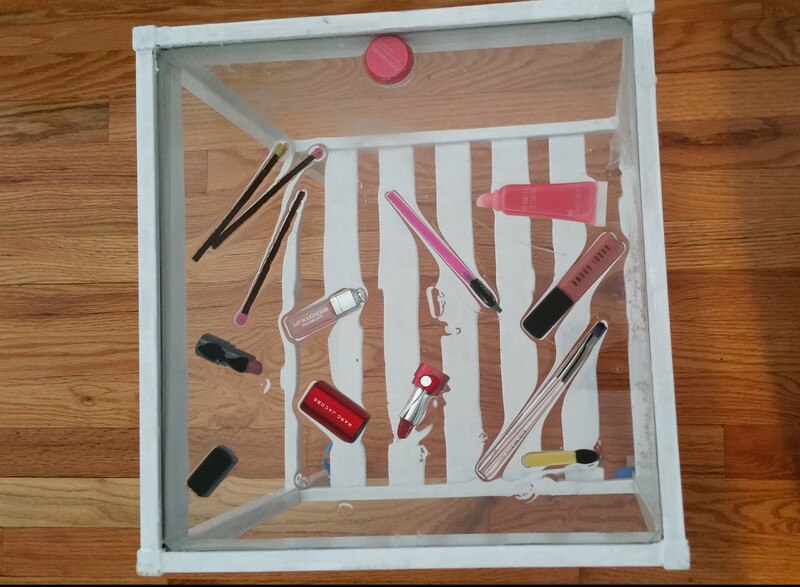 For the past week or so I’ve been writing less than usual because I’ve been busy crafting a makeup table. 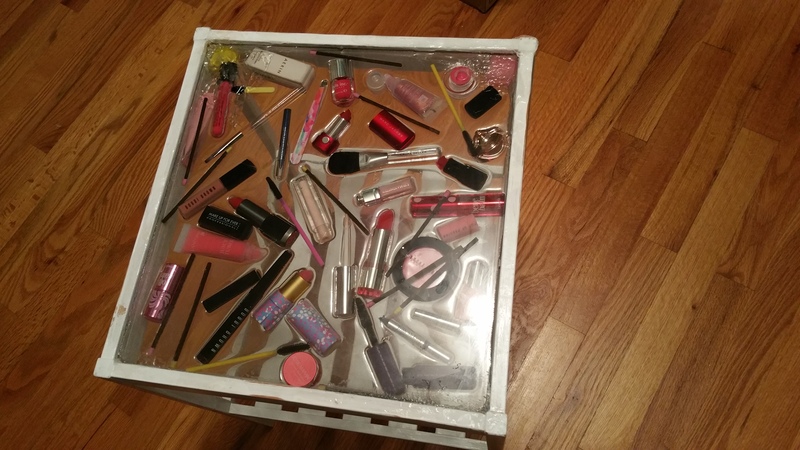 Or maybe it should be called a makeup-top table. 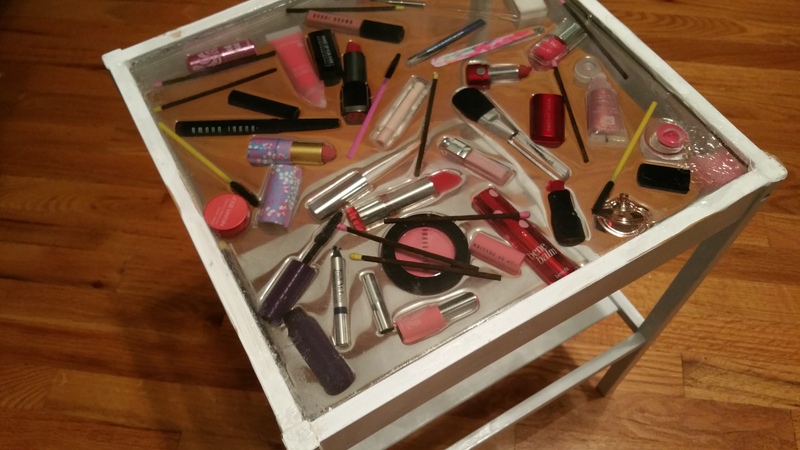 Being an “idea” person, I randomly dreamed up a makeup-top table. I got an image of it in my mind. Also being kind of obsessive, I had to implement a plan to create it or else I would never stop thinking about it. Only after starting it did I realize I needed a step by step plan of how to make the idea into reality. However, I’ve managed to make some cool things over the years with clear epoxy resin, after starting with some simple projects. 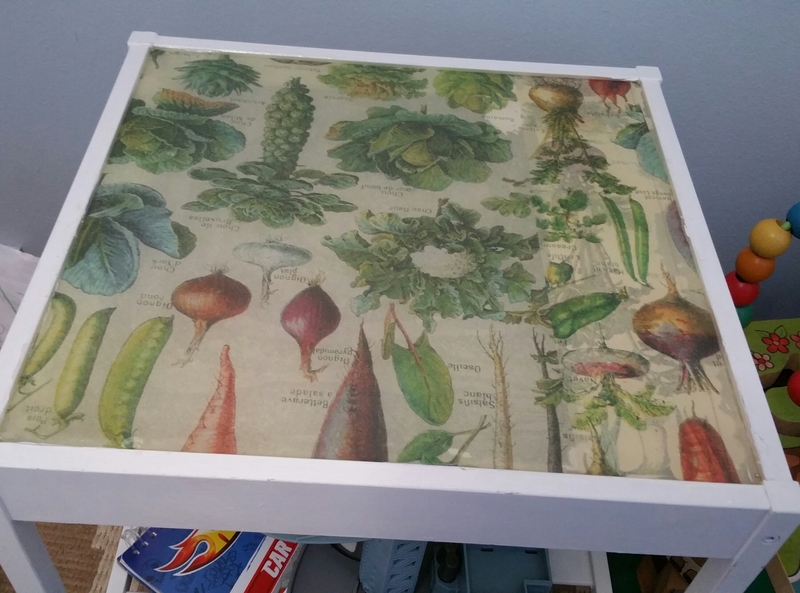 I cut scrap-booking paper to fit the shape of the table-top. I poured the epoxy over it. 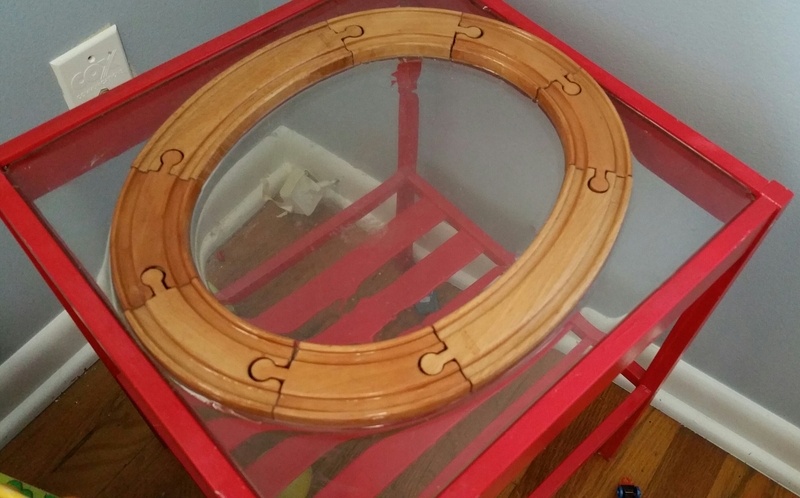 Mini-train table I made for the kids. Track just goes in a loop, obviously! So not super exciting, but good practice. 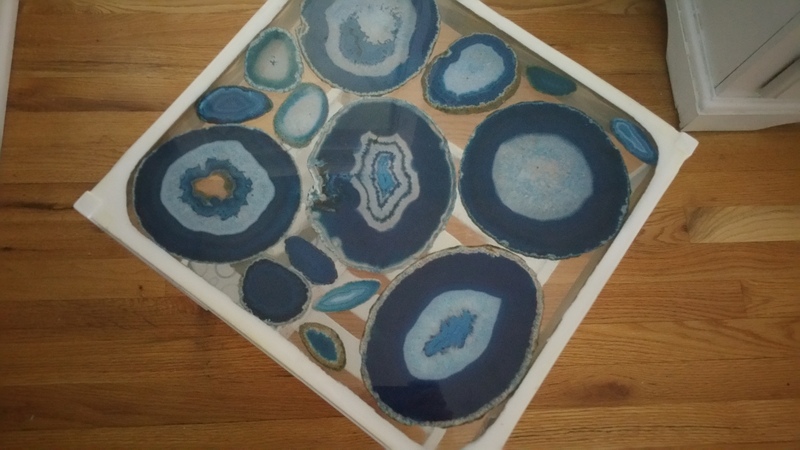 Blue agate geode slices embedded in epoxy resin on glass-top table. 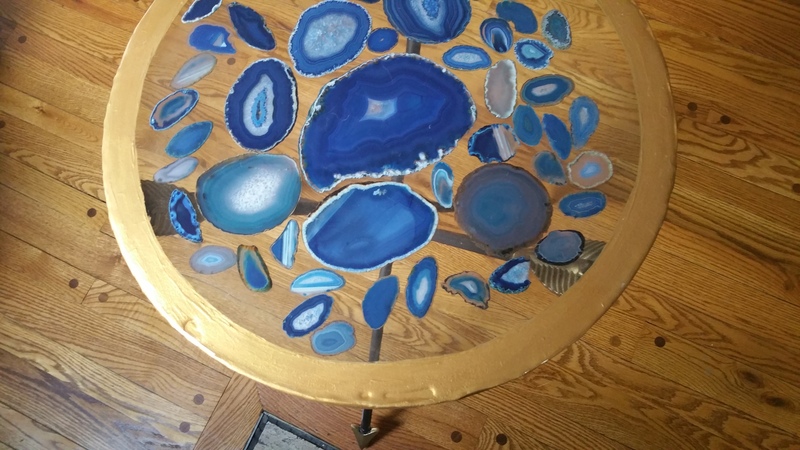 My favorites are these geode-top tables I made. 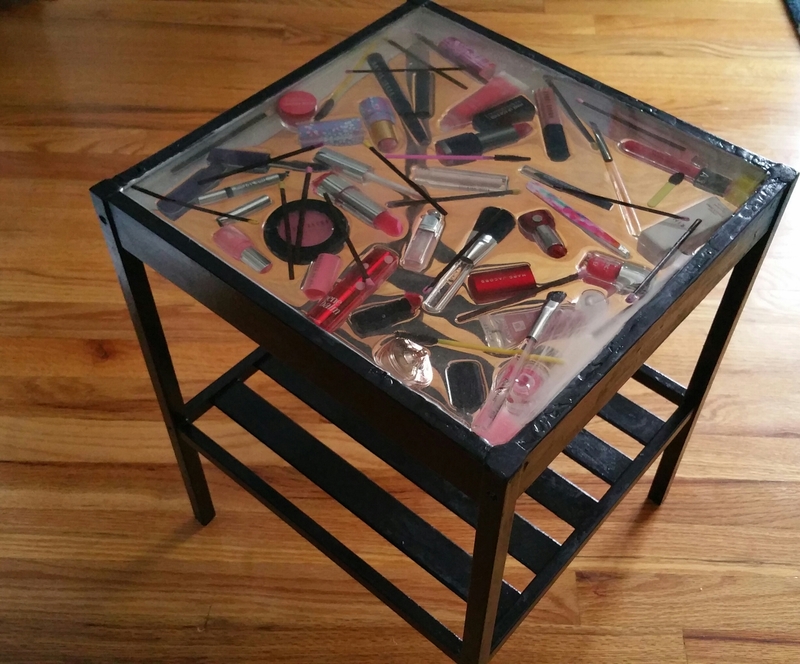 So, you can tell by now that this post is about my makeup-top table project and not a cosmetic review or discussion. I’m going to show you photos of the work in progress (it’s close, but in fact, it’s still not totally done). In a second post I’ll show you how it looks when finalized and I’ll provide detailed information about what I used and the steps to take, in case anyone out there wants to try doing this too! 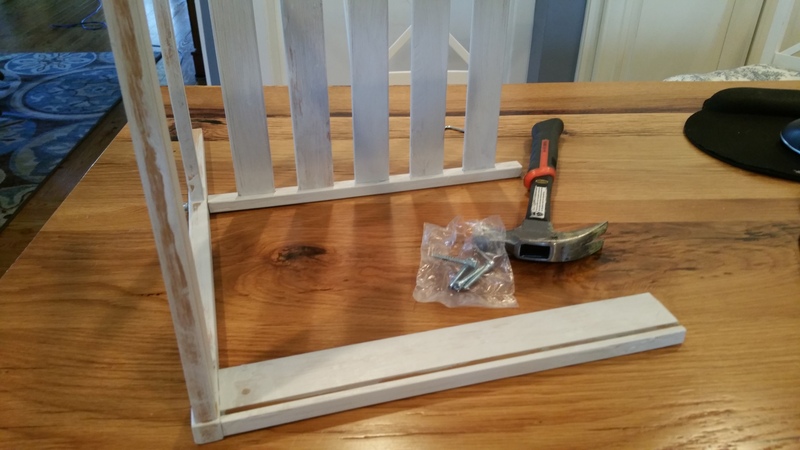 Beginning: Table assembled, with wood primed. Table with wood primed and assembled. Table after first epoxy and makeup layer. Table after second epoxy and makeup layer. You can see problem areas on the corners, where epoxy leaked from the underside onto the the top (work was done with table up-side-down). Table after second epoxy and makeup layer. You can see problem areas on the corners, where epoxy leaked from the underside onto the the top. As I’ve eluded to, this has been a taxing project so far. One of the toughest parts has been finding makeup that looked good and that I could stand to lose. I managed to part with some older makeup, such as a Bobbi Brown Lip Gloss, an old Pot Rouge and Shadow Pencil; a Trish McEvoy Gel Eyeliner Pencil that was getting small, and an old and dried out Eye Base; two Lancome Juicy Tubes that I never really used (because of the strong fruity smell), some mini-lipsticks I got from Sephora promos, that I tried out but didn’t love; cute makeup tools like multi-colored mascara wands; and some other odds and ends. 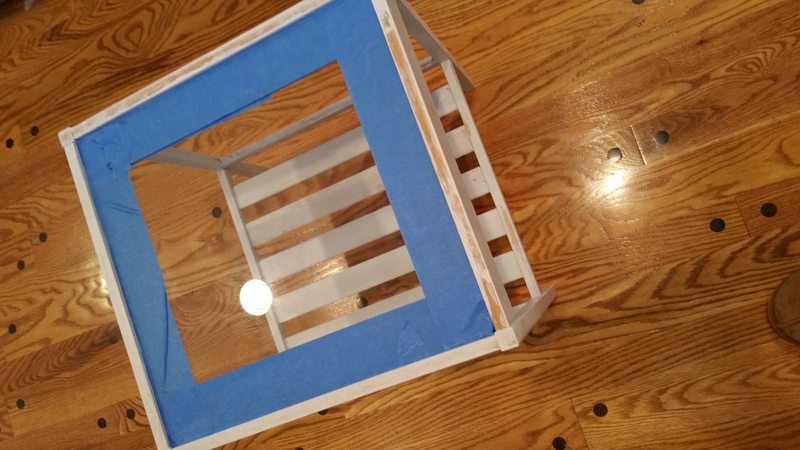 Table after third epoxy and makeup layer, and painting. You can see problem areas on the corners again, which had to be sanded down (and will be re-coated). 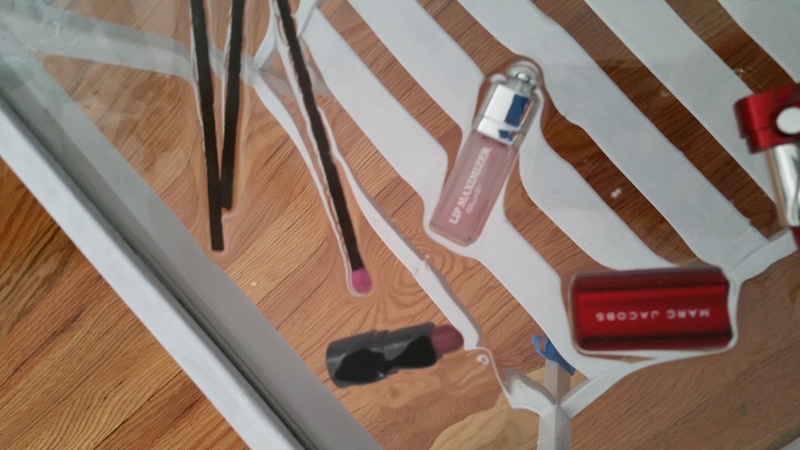 You can see that I left many of the lipsticks uncapped. I thought it would look cool to see the actual makeup and not just the covers or caps. Note that epoxy once mixed warms up to about 90 degrees. I had my fingers crossed that the lipsticks wouldn’t melt into the epoxy before curing, but actually some melting did occur! Right now I’m waiting for another coat of epoxy to cure before I do more clean-up. I’m a little sad that my resin ended up so cloudy. But I’ve learned valuable lessons about contaminants that leach out of items being set. I just may try this project again to get it perfect. What do you think about this table so far? These are so cool, Jackie! Thanks,Jen. Perhaps I missed my calling!